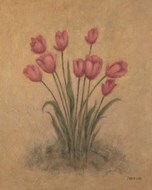 Tulips have grown for centuries in the southern European countries and were routinely offered by lovers to their better halves. 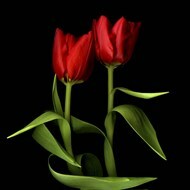 They are still associated with the idea of love and passion, especially the red ones which have always exercised a special fascination for artists. 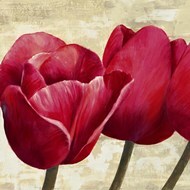 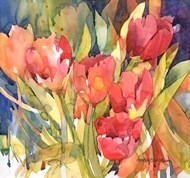 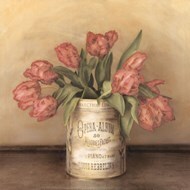 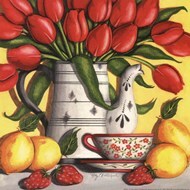 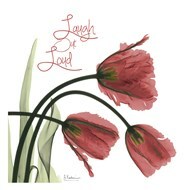 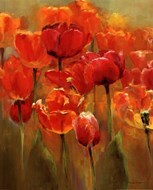 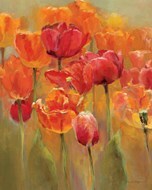 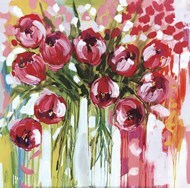 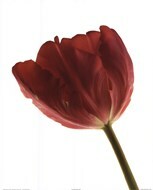 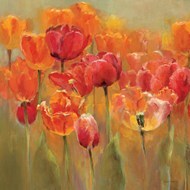 As a result, there are plenty of red Tulip paintings out there and the finest artwork can be acquired at ChefDecor.com. 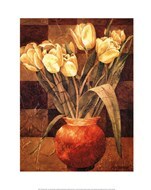 ChefDecor.com has plenty of posters featuring tulips and the red variety represents only the tip of the iceberg, but they are still the most popular ones. 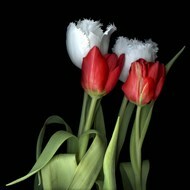 They have been routinely associated with the idea of love and the black center represents the heart burnt by passion. 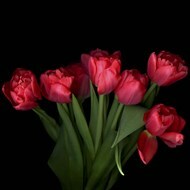 This is the message conveyed by many Red Tulip prints, which makes them great gifts for people in love, especially on special occasions. 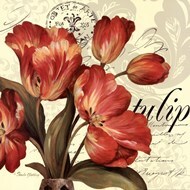 Strictly from an aesthetic perspective, the red Tulip posters act as a magnet for anyone who steps into the room. 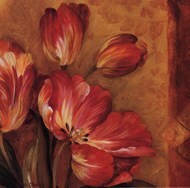 The vibrant colors on the red tulip posters, make them a focal point of attention regardless of what furniture you have and whether there are any other paintings hanging on the walls. 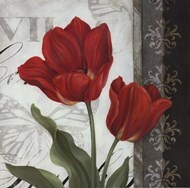 The color red is equally overwhelming in most of the red tulip paintings, so those who prefer the frame version, should read that in mind. 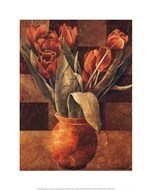 Brown and green frames are the natural choice for this sort of artwork, although there are good reasons for opting in for the canvas version, when space is not of the essence and you can afford to cover an entire wall.